# if you encounter problems, try changing cgroup_memory=1 to cgroup_enable=memory. 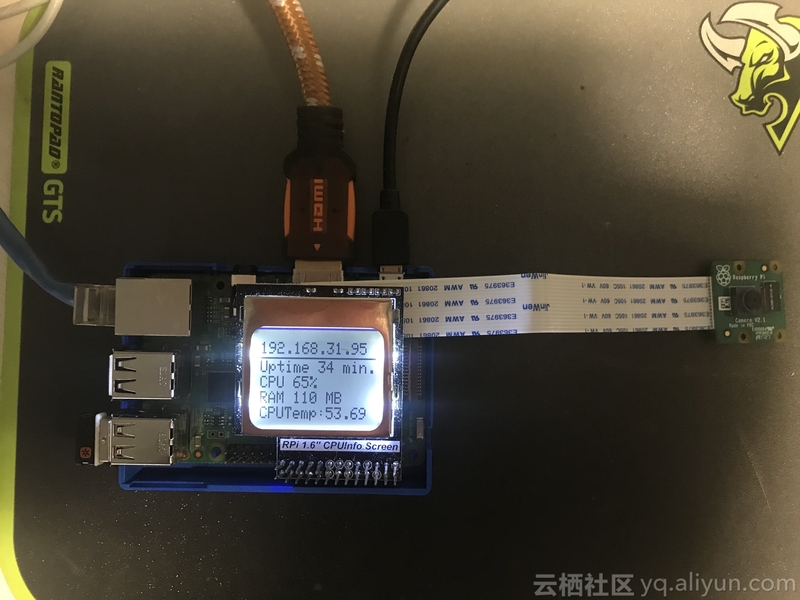 orig="$(head -n1 /boot/cmdline.txt) cgroup_enable=cpuset cgroup_memory=1"
大家可以利用 docker cp 命令，向容器中拷贝文件，比如照片，或者在容器中利用 nano 等命令来编辑代码. # This is a demo of running face recognition on a Raspberry Pi. # This program will print out the names of anyone it recognizes to the console. # the picamera[array] module installed. # Get a reference to the Raspberry Pi camera. # enabled your camera in raspi-config and rebooted first. # Loop over each face found in the frame to see if it's someone we know. Found 0 faces in image. Found 1 faces in image. I see someone named Yi Li! # The rest of this file just runs an example script.